← Tell The Damn Story Unplugged: Is Superhero Pop Culture Defeating Itself? As a new book prepares to launch, Alex continues to explore the appeal of his action adventure creation, ARRON DAY aka BLACKJACK. 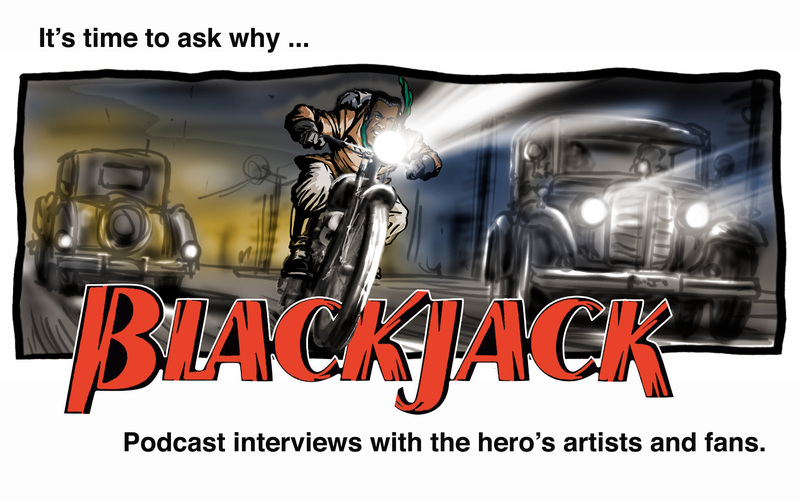 He starts here with the first of several interviews, with Blackjack artists and fans, to learn why tales about a 1930s African-American soldier of fortune has such mass appeal. Now here’s Part 2 of the interview with artist extraordinaire, ERIC BATTLE, Part two. This entry was posted in Tell The Damn Story (Satellite) and tagged blogging, books, inspiration, movies, short stories, Television. Bookmark the permalink.